SENATOR Paolo Benigno “Bam” Aquino IV assured Kapampangans that he will continue to push for reforms in the country’s education system following the full implementation of the Free Tuition bill. Aquino, who authored the law that provided students free access to tertiary education, said that strengthening the country’s education system must be done to give more Filipino students a chance at a better future. Speaking before a multi-sectoral group including Simonian youth during Friday’s visit in San Simon town, Aquino noted the importance of having quality education in securing bigger opportunities for employment. He stressed that the approval and full implementation of the Free Tuition Bill was a big leap in his quest as lawmaker to improve access to quality education for all Filipinos, especially youth from the marginalized sector. “The passage of the Free Tuition Bill was the first step in our goal to provide free quality education to Filipino children, but we are not stopping there. We still have a lot of steps to take to improve the system and institutionalize it for the benefit of the future generations,” he said. Particularly, Aquino said that reforms must include improvement of school facilities, upgrading of the curriculum to ensure that Filipino graduates will be able to keep pace with the demands of the international market, and the assurance that there will be stable jobs awaiting the graduates. “Education must be the focus right now because it is essential to everybody. I am glad that youth in San Simon are very much interested about this, as well as the barangay officials. Also, our reformists in Bahay Pagbabago are showing big interest to include education in their transition to a better life,” he said. Aside from education, Aquino also addressed several concerns on agrarian laws and support to the agriculture sector, promotion of women empowerment, and the improvement of livelihood projects under the national government. “Once you are a senator, the problem of a community also becomes your problem. And we are glad that we are able to address most of them one-by-one, and that we have started in the reform of the education sector which can be beneficial to everybody,” he said. The Ing Sandigan San Simon, who organized the multi-sectoral meeting, lauded the initiative of Aquino in reaching out to Simonians and ensuring that their town will be included in the foreseen development of the country. Vice-mayoralty candidate Rommel Bondoc said the advocacy of Aquino to ensure the welfare of the youth through providing access to quality education is a sentiment that they both share. “His advocacy of education for the youth, which has turned into a reality through the Free Tuition Bill, was also once our dream for our town San Simon, and we are hopeful that we can continue to provide reform in the education sector for the benefit of Simonian youth,” he said. 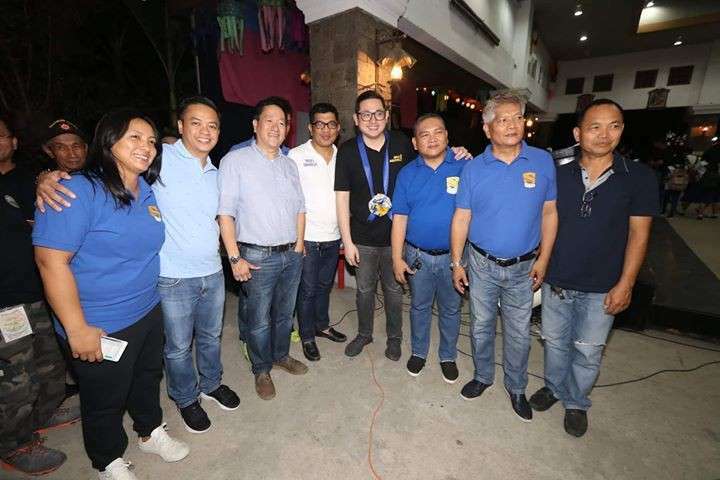 Aspiring councilor Enix Salvador, for his part, assured Simonians that Ing Sandigan San Simon, a non-government organization, will continue to work for the development of their hometown and its people regardless of a government position. “At the end of the day, it all boils down to our common aspiration of serving our fellow Simonians without asking anything in return. No politics, just plain service to the people,” Salvador noted.